At Gracious Smiles, we’re thankful for the advancements in dentistry and technology that allow us repair, rebuild, and replace teeth in a way that is healthier, more functional, and more natural than ever before. Not only are the results superior to those of the past, the process is faster, easier, and more comfortable for you, too. If you’ve been putting off needed dental work out of fear of treatment or the cost of treatment, you should know that the longer you wait, the worse the problem will get. You take your own sweet time, there’s no pressure here, but when you’re ready, give us a call. We would be happy to sit down and come up with a treatment plan to get you healthy and smiling again. Let’s get you proud as a peacock! Tooth decay is one of the most common diseases in the world, so we’re fortunate that it’s also one of the most easily preventable and treatable. Left untreated, tooth decay will eat away more and more of your healthy teeth, eventually making its way into your tooth roots, causing infection and ultimately tooth loss. You may still have remnants of old metal fillings left over from the days of dentistry’s past. Today we use more durable and natural-looking tooth-colored resin to fill cavities and stop decay. Tooth-colored fillings can withstand changes in temperature without cracking, providing stability to last just as long as their metal predecessors. Amalgam, silver, or metal fillings have been used to fill cavities for over 150 years! There are advantages to this material, of course, but with their unsightly dark color, composite resin fillings are now what most patients prefer. 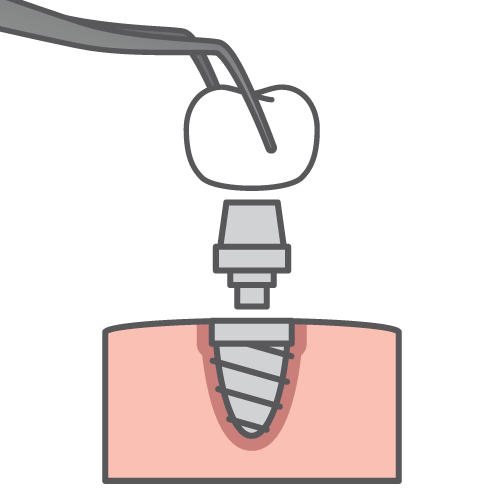 If you have an area of decay too large to fill with a simple filling, but not quite large enough to require a full crown, an inlay or onlay may be the perfect solution. Inlays and onlays are conservative intermediate restorations that can stop decay and fortify your tooth back to health. Where a full crown requires removal of healthy tooth structure, inlays and onlays allow us to keep your natural teeth intact for as long as possible—which is always our goal. Inlays repair damage contained within the cusp, and onlays repair larger areas of decay or damage that extend beyond the cusp. 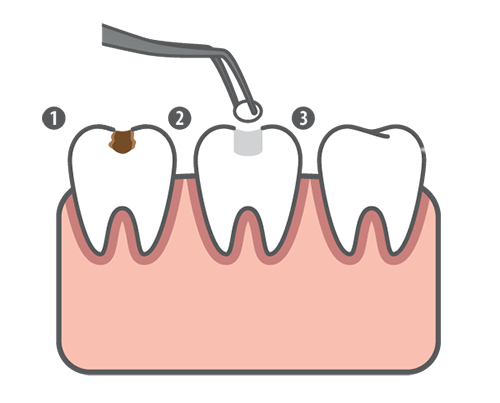 With fillings, we insert the material directly into the cleaned-out cavity. With inlays and onlays, we will need to take impressions of the tooth first, which we send to our lab to have your restoration created. Inlays and onlays require at least two appointments for preparation and placement, but your restored smile will make it well worth it. We promise you’ll be happy you called. Once you get your full set of adult teeth, they’re the only ones you’ve got—so it’s best to take good care of them if you want to avoid the need for major restorations and false teeth down the road. Thankfully, a crown can help you do just that. Crowns are tooth-shaped caps fitted over any remaining healthy tooth structure. If you’ve suffered from tooth decay or injury but still have a healthy tooth root, a crown can repair the tooth and protect the root to keep it in place as long as possible—hopefully for life. First, you will come in for your initial consultation where we will take any necessary images and x-rays. Then we will prepare the tooth for your new crown and take impressions that will be sent off to our lab. You will wear a temporary crown in the meantime until you come in for your second appointment where we will remove the temporary and secure your final crown. Voilà! See? That wasn’t so bad. When teeth go missing, a whole cascade of other oral health problems will eventually follow suit. Not only is it difficult to eat, to speak clearly, and to smile with confidence when teeth are missing, but your entire oral health and facial structure are now at risk. Surrounding teeth will begin to shift and rotate to fill the space, causing changes to your alignment and bite. Alignment and bite changes can lead to TMJ dysfunction which can evolve into headaches and migraines. Your jawbone shrinks without the healthy tooth root to support it, causing your facial shape to sink in. Thankfully, bridges can help keep everything in place. 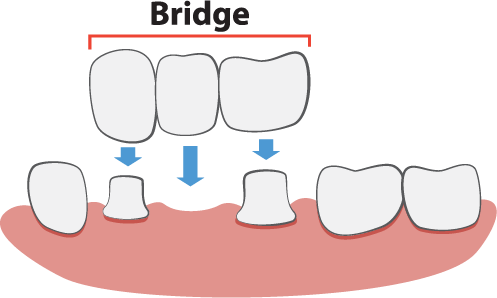 Bridges consist of one or more fabricated teeth (depending on how many are missing) usually anchored to the surrounding teeth with the help of crowns on either side. There are many types of bridges available, so Dr. Davis will address your options at your consultation. If you are a candidate for dental implants, we can refer you to a trusted implant provider for placement, because implants are the only tooth replacement solution that can prevent jawbone deterioration. Taking the first step is often the hardest. We know nobody wants to wear dentures, but as we age—for many of us—they become inevitable. Thank goodness we live in a time when replacing teeth is easier and more lifelike than ever before. Our dentures are custom-crafted from durable and natural looking materials to look, feel, and function just like natural teeth. 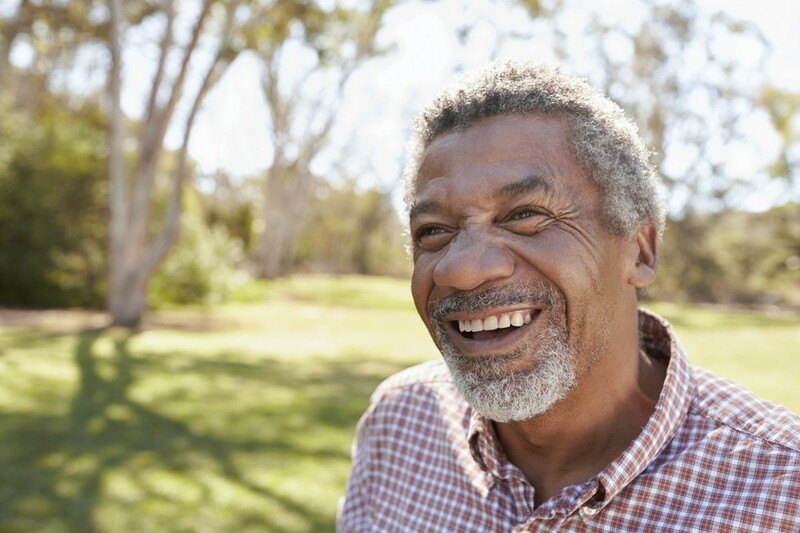 If your dentures are old and don’t fit well anymore, we would love to improve your smile, your confidence, and your quality of life with our advanced denture options. If you’re missing most—but not all—your natural teeth, we can create a custom partial denture to fill in the gaps and preserve your healthy teeth as anchors. 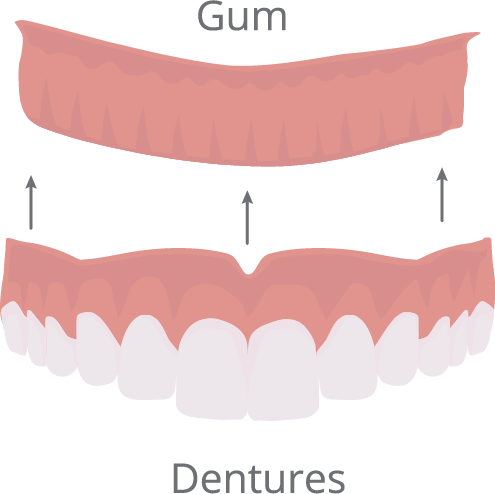 If you’re missing all your natural teeth, we can create a complete denture to suit your needs. If your jawbone is healthy enough to support dental implants, we usually recommend them as the best tooth replacement solution. We can refer you to a trusted implant specialist in our network for placement and finish the process with a full set of implant-supported dentures that lock securely into place. More than 36 million Americans have no teeth – you’re not alone! Dental implants are currently the gold standard when it comes to replacing missing teeth. Where the more traditional tooth replacements discussed above, including bridges and dentures, only replace the crown or the visible portion of the teeth, dental implants replace the tooth root, which is a vital component of a healthy oral structure. We usually recommend dental implants when teeth are missing. We would be happy to refer you to a trusted implantologist in our network for surgical dental implant placement. Then we can finish the restoration process in-house with a new crown, bridge, or a set of implant-supported dentures for the healthiest, most lifelike solution. Dental implant placement does require sufficient jawbone density, so you will need to set up a consultation with one of our trusted implant specialists to determine definitively that you are a candidate. In some cases, bone grafting can strengthen the jawbone for patients who lack sufficient bone density. We can provide bone grafting right here from your dental home at Gracious Smiles. If the cost of implant treatment is a concern, you should know there are many flexible financing options available to help you get the best solution you deserve. Concerned about the cost of treatment? We’re happy to offer flexible financing options. We know affordability is one of the biggest barriers standing in the way of people getting the dental care they need. We understand and want you to feel better—that’s why we’re happy to accept most major insurance providers and offer an in-house membership plan as well as flexible financing options to help you fit the treatment you need into your budget. Get in touch with your Waterville restorative dentist, Dr. April Davis at Gracious Smiles today to get started!